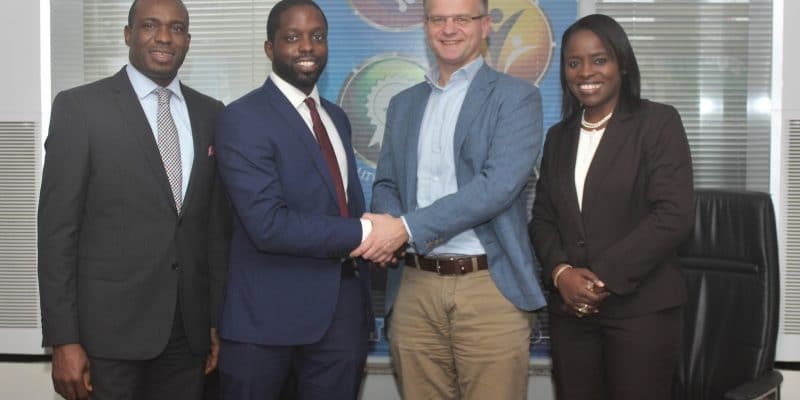 CrossBoundary Energy, an investment fund specialising in off-grid solar roof projects, has signed an agreement with Nigerian Breweries Plc (NB), a major brewing company. CrossBoundary will supply solar energy from an off-grid system to NB Heineken's manufacturing plant in the southeastern city of Ibadan. The brewer Nigerian Breweries Plc (NB), in which the Dutch group Heineken owns 37.5% and which produces and markets a dozen beer brands, has decided to opt for clean energy. Its Ibadan plant in southeastern Nigeria, which produces Heineken beer, will soon be running on solar energy, thanks to an off-grid system that will be installed on its roof this year. This is the result of an agreement between NB and CrossBoundary Energy, an investment fund dedicated to financing off-grid solar roof projects for African companies. The brewery will be supplied from an off-grid system. The realisation of this installation was entrusted to Topec Nigeria (TPN), a turnkey energy solutions provider based in Nigeria. The company’s teams, based in Lagos, will design and build the facility. TPN will also be responsible for operating the off grid and ensuring its maintenance after commissioning. The installation is expected to supply 650 kW to the NB plant. “The solar power plant will supply 1 GWh per year to the Ibadan brewery, at a price significantly lower than current electricity costs, while reducing the site’s CO2 emissions by more than 10,000 tonnes per year over the lifetime of the facility,” says CrossBoundary. The Nigerian brewer will not have to invest specifically to have this energy. He will simply pay a monthly invoice including all maintenance, monitoring, insurance and financing costs. The power purchase agreement between CrossBoundary and NB will be for a 15-year term and the off-grid will be able to operate for another 10 years. A similar agreement also exists between CrossBoundary’s Ghanaian subsidiary and Kasapreko Company Limited, a company that owns a bottling plant in Accra. CrossBoundary Ghana supplies electricity from an off-grid system installed on the roof of the bottling plant with a capacity of 400.4 kWp. It was installed by Yingli Namene West Africa Limited, a local company. In Nigeria, one of the most industralised countries in Africa, the collaboration between CrossBoundary and NB is part of Heineken’s Drop the C programme, which aims to increase the share of energy produced from renewable sources from 14% to 70% by 2030. Even more interesting, the project is supported by the Shell Foundation (which is multiplying initiatives in the solar sector in Africa) and the “Solar Nigeria” programme, an initiative of Adam Smith International with funding from UK AID, a UK public fund dedicated to organisations working to reduce poverty.